FAMILY LOVE LINEN WALL ART by Accent Plus home decor, jewelry, decor, decorations, electronics, fountains, floor mats, art glass, vases, garden essentials, fireplace screens. When you count your blessings, count your family twice! This sweet linen wall scroll is set between two wooden dowels and hangs from a rope. 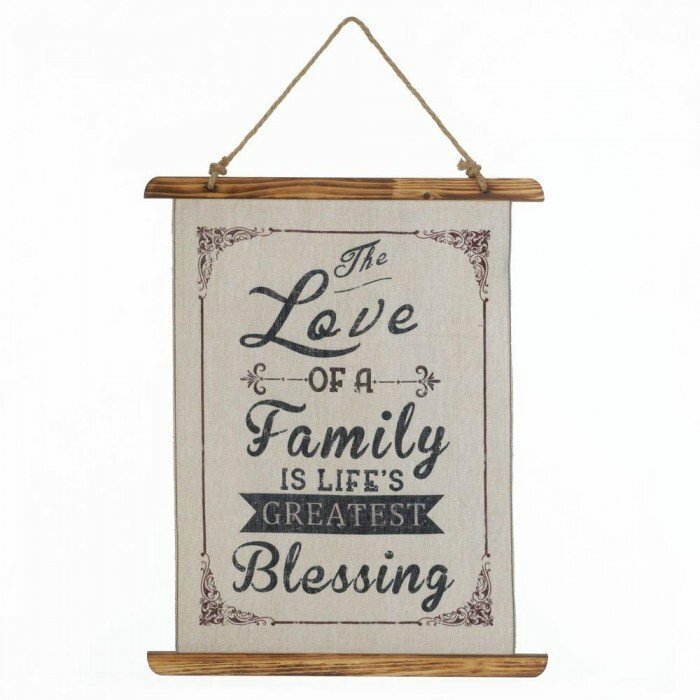 The sweet graphic reads, "The love of a family is life's greatest blessing." Material(s): LINEN FABRIC ROPE WOOD - FIR. Weight 0.6 pounds. Dimensions 17.8" x 0.75" x 21.8".